The President of Huntington University shall be the Director of Higher Education. b. Seven members nominated by the bishop and appointed by the Executive Leadership Team. c. The Director of Higher Education and any associate staff shall be advisory members. a. To allow a commission member to serve as chair or vice chair of the board of Huntington University. b. To fill a need for specific expertise or unique perspective on the team. The voting members of the Higher Education Leadership Team shall include at least 40% laypersons and 40% clergy. The Higher Education Leadership Team shall elect a chairperson, assistant chairperson, and recording secretary at its first meeting following its appointment. These officers shall hold office until their successors are elected. All officers shall be United Brethren members. The Higher Education Leadership Team shall meet at least annually. Special meetings shall be called by the chairperson. A majority of the members shall constitute a quorum. The executive committee shall consist of the officers and the US bishop. This committee shall meet at the call of the chairperson or upon the request of two of its members. A majority of the members shall constitute a quorum. 1. 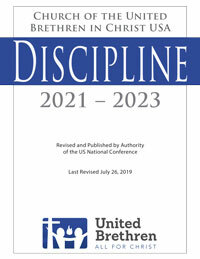 The Higher Education Leadership Team is responsible for policies which effect the work of higher education in the Church of the United Brethren in Christ, USA. 2. The Higher Education Leadership Team shall report to the meetings of the US National Conference and the Executive Leadership Team. 3. The Higher Education Leadership Team is responsible for the oversight of Huntington University in Huntington, Indiana. 4. The Higher Education Leadership Team is responsible for the oversight of the United Brethren Historical Society. The Executive Leadership Team will fill vacancies on the Higher Education Leadership Team. The Higher Education Leadership Team may suggest persons to be considered for appointment. Meet the members of the Higher Education Leadership Team.